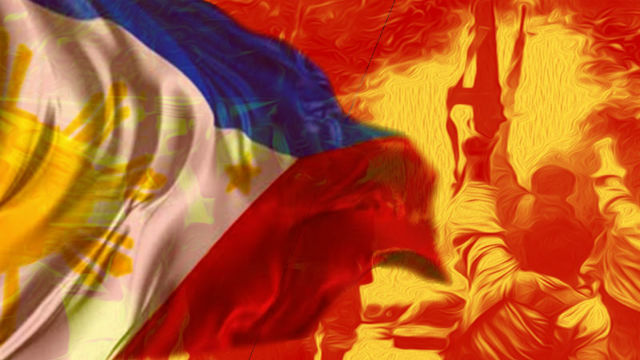 CAMP DANGWA, La Trinidad, Benguet – Two members of the New Peoples Army (NPA) voluntarily surrendered bringing with them their firearms to the pursuing government forces conducting intensified hot pursuit operations against the fleeing enemies of the State in the boundary of Tadian and Bauko recently. Joint operatives of the Police Regional Office Cordillera and members of the different Infantry Battalion of the Philippine Army received the two rebels of the Kilusang Larangang Guerrilla (KLG) MARCO operating in Mountain Province, Kalinga, Abra and Ilocos Sur. Police authorities identified the NPA surrenderee as Lito Lannip Bulawit alias Joshua, 36, alleged member of NPA rebel and a resident of Basao, Tinglayan, Kalinga who voluntarily surrendered at the Headquarters of the 503rd Brigade at Calanan, Tabuk City, Kalinga. Bulawit give in to the joint members of Philippine Army, Tinglayan Police and Intelligence personnel of Kalinga with his long firearm described as M16 rifle caliber 5.56mm and one short plastic magazine of M16 loaded with 11 live ammunitions. Prior to his surrender, Bulawit was allegedly recruited by Alex Bumusao alias Billy/SIPAT sometime in 2003 and joined the revolutionary forces that operates in the municipalities of Sagada, Bontoc, Besao, Tadian, all of Mt. Province. Because of hardships of living underground, and the growing disappointment from indigenous communities on the rebel leadership in the area because of undelivered promises convinced him to allegedly went lay low and hide in Barlig, Mt Province since 2016. From that, series of intelligence negotiation were made by the army and one of his relatives since January this year that finally resulted in his peaceful surrender. On the other hand, another rebel identified as James Maitang Biag alias Simon/Diver/RC, 49, resident of Sitio Tekdag, Brgy. Bagnen Proper, Bauko, Mtountain Province and member of the Militiang Bayan (MB) under the KLG MARCO and KLG BAMPIS voluntarily surrendered to combined police and military forces also recently. Biag surrendered to the operatives of the Intelligence Branch of Bauko Police, members of the Philippine Army and 14RCDG. Both surrendereed claimed that the hardship within the NPA units are unbearable including the minimal support from the community. They also state that the relentless police and military operations multiply the fear, hardship, and hunger that they are experiencing. The PNP is hopeful that the NPA rebels and would be members will realized that the NPA leadership are deceiving them and that there is no peace in their organization and only the commanders are living a good life while, the ordinary members are suffering from hardships. “To the public, be vigilant and do not be deceived by the propaganda of the NPA and their organizers. To those in the NPA organizations, we encourage you to surrender to the authorities and we will ensure your enrollment on E-CLIP and your reintegration to the community,” Bregadier General Israel Ephraim Dickson said. He also thanked them for returning to the government fold, and finally realizing that the armed struggle is not the solution.